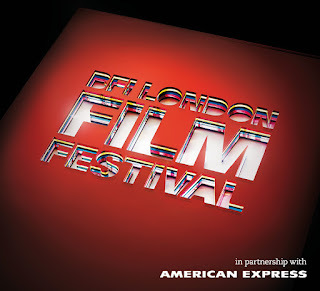 The BFI London Film Festival takes place from 7th – 18th October 2015‎, showing 240 films from 72 countries in 16 cinemas over a period of 12 days. The films are divided into several categories: Love, Debate, Dare, Laugh, Thrill, Cult, Journey, Sonic, Family, Treasures, and Experimenta. Here I’m outlining some of the best from the second week of press screenings. In a small northern Italian village in the 17th Century, the trial of a young nun is taking place in a monastery - accused of plotting with the devil to tempt a priest (who commits suicide and thus cannot be buried in consecrated ground) the nun if forced to endure a series of barbaric tests. Anxious to clear his dead brother of blame, his aristocratic twin brother attends the trial and witnesses the torments of the nun. She refuses to confess to consorting with any devil and submits to the tests without complaint. Her male tormentors are determined to make her confess and shift the blame of the suicide onto her, but if she passes the tests, does it not make her an innocent saint or a martyr? What then does that make them? Centuries later, the isolated village is ruled by a coven of vampires, head of which is the ancient Count. 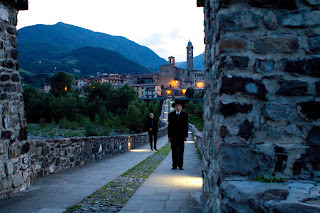 He is now the sole occupant of the monastery where the previous events took place and finds that he is called upon to protect it from a Russian developer and save the town from investigation by the authorities which, in exchange for their privacy, the vampires have made a haven for various scroungers off the state. In this tale that that draws on magical realism and gothic horror, these two historical periods intertwine to create a satirical allegory commenting on religion, politics, gender inequality and social interrelationships in contemporary Italy. It throws out many questions regarding ethics, religion and corruption and doesn’t necessarily give easy answers but instead plays upon the mind and emotions of the viewer. Unfortunately I’m not allowed to say much about this film as there is an embargo on reviews until it makes its public premiere (on October 8th). 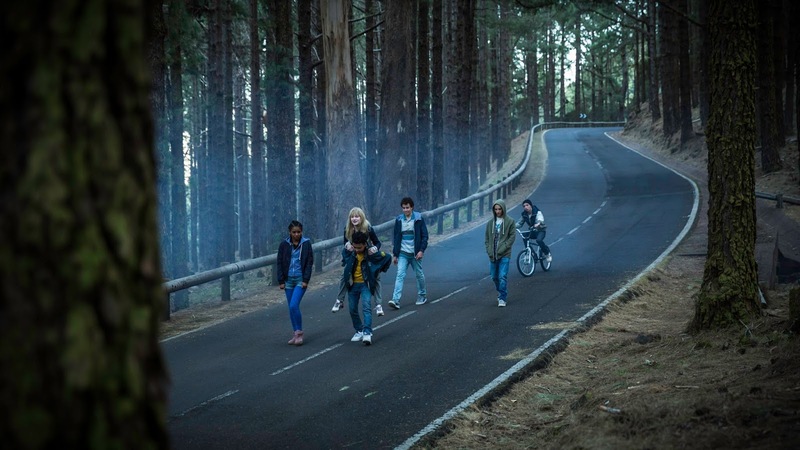 Suffice to say that it’s about a group of delinquents on an island who wake up to find their facility inexplicably abandoned. More later. 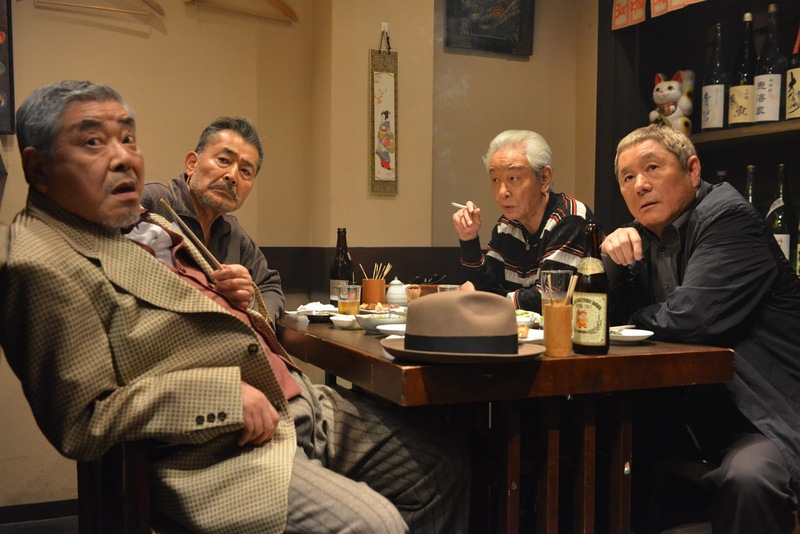 Here however, he’s penned a droll comedy about a group of retired Yakuza who miss the excitement (and the income) of their erstwhile occupation. An embarrassment to their modern-minded Japanese progeny and considered dinosaurs in contemporary Japanese society, they remain legendary tough-guys in their own minds – even though they are failing physically and hardly sprightly. When the aging but still tough Ryuzo is the victim of a phone scam by a young upstart criminal gang, and is subsequently thrown out of the house by his son for his bad behaviour, the old crooks decide to pool their resources, reform the gang and reclaim their territory from the young thugs. As the feud escalates the ageing mobsters have to contend with their own physical and mental frailties and their dismay at their young adversaries’ lack of respect for them and for the appropriate code of criminal conduct. It’s broad, farcical humour with a fun and frenetic climax. Takeshi Kitano himself cameos as a hard-nosed cop familiar with the old days of the Yakuza and nursing as much of a dislike of the young upstarts as the aged gangsters do themselves. His comedy is inspired by influences as diverse as the Seven Samurai and Weekend at Bernie’s. Maverick Belgian director Gust Van den Berge here completes a faith-themed trilogy with a tale about Lucifer, the fallen angel, who visits a remote Mexican village via a ladder from the sky and unsurprisingly, leaves chaos and suffering in his wake. Filmed in ‘Tondoscope’ – a circular frame in the centre of the screen, the movie is a mix of theological imagery and black humour. The movie is based on a book by a 17th-Century Dutch playwright Joost van den Vondel, who wrote it 13 years before Milton’s epic poem Paradise Lost. The use of the Tondoscope makes the movie seems oddly removed and timeless, although it can also be distracting. On day, the loudspeaker of in an isolated Mexican village announces the miracle of a ladder descending from the sky and the arrival of a mysterious stranger. A hardworking old lady has a brother who is faking paralysis after an accident in order to avoid physical work and be able to drink and gamble with his pals, while his elderly sister tends the sheep with her young granddaughter. When the stranger crosses their path and ‘cures’ the paralyzed brother (by threatening to expose his duplicity) it is declared a miracle. The local priest begins to hear the sound of invisible bells and becomes obsessed with building a neon-festooned church. The villagers all hope that the stranger can help them fulfil their deepest desires. Instead, he strings them along, seduces the granddaughter and leaves her pregnant before disappearing as suddenly as he arrived. The villagers blame the family and the life of the innocent hard-working woman begins to unravel. Copyright R.H. Zelen – ©RenZelen 2015 All rights reserved.